This article covers areas like provisions under Section 498 A of IPC, various provisions of Dowry Prohibition Act as well as Protection of women from domestic violence Act. India is one of the countries which give much priority to marriage and family life. In India marrying a person and living a happy life is considered to be sacred in one’s life. Cases involving domestic violence and dowry are being registered at an increased pace when compared to the last decade. In many such situations, women will be the victim of various tortures and in humane activities against them. In India, we have Indian Penal Code as well as various other statutes such as Dowry Prohibition Act, Protection of Women from Domestic Violence Act, 2005 etc. for protecting the rights of women especially married women as well as preventing them from various offences which affects them both physically and mentally. Harassment of the women with a view of coercing her or any person related to her to meet any unlawful demand for any property or any valuable security or is on account of her failure by her or any person related to her to meet any demands. The provision of the Dowry prohibition Act mainly deals with issues relating to dowry and its related offences in general. 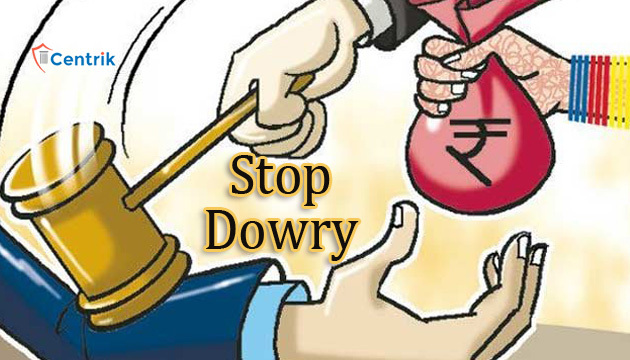 Dowry means transfer of parental property at the time of marriage of their daughter. It is a system of providing a certain amount of financial assistance to the groom’s family either in the form of money, property, gold etc. Demanding and acceptance of dowry, even though banned in India, is still seen in many parts of the country as the people are not willing to stop the prevailing customary practice. The Act provides various provisions relating to the term ‘dowry’ as well as provisions relating to the punishment for the offence of dowry and the concerned officers who are entitled with the authority to look into such matters. The Act also provides certain powers to make rules and regulations regarding giving and accepting dowry. But the fact is that almost all the marriages are taking place in certain assurance given by the family of both the spouses mainly the bride. Apart from this Act, we have Protection of Women from Domestic Violence Act, 2005. This Act deals with certain special provisions mainly for married women who are facing certain cruelties from husband as well as his relatives and other members of the family. It states that any physical or mental harm, injury or harassment to women for any unlawful demands or dowry or any other property may be termed as domestic violence. Chapter III deals with duties of various protection officers, security officers as well as magistrates in preventing them from any such offences. It also provides for the importance and needs of medical facilities for the aggrieved person. The Act also deals with certain provisions such as duties of Government in such issues, nature of compensation as well as liabilities of the accused person if found guilty.